Injuries within the sport realm usually have one of two causes: injury from trauma or an injury from repetitive movement. Chiropractic adjustment can aid to restore the misaligned spinal segments to normal position. Re-storing alignment will aid both the skeletal system, and the muscular system surrounding it. Coming from an athlete himself, Dr. Luke has earned a Masters degree in Sports Science & Rehabilitation on top of his Doctorate of Chiropractic, he’ll be able to aid you from personal experience and knowledge. At Ballenger Chiropractic, we also have an experienced trainer who has had hundreds of hours working with clients and patients. Travis will aid you in the exercises and teach you, at your own pace, exercises to aid the injured area. A team effort will help you return to the court as quickly as possible. After full play has been reached, better strategies for exercise and stretching will be discussed in means of preventing a follow up injury so each athlete can enjoy his/her sport to the fullest. Alignment of the spine is closely-related to the overall health and wellbeing of the individual. By keeping this in mind, our Doctors utilize various treatment techniques in means of re-aligning the spine and neck joints to proper alignment. Realignment of the spine reduces pressure on the central nervous system, which in turn opens up the communication pathway for your body to regulate proper function. View our Most Common Conditions treated by chiropractic at our clinic for more! As kids skeletal systems’ are heavily impacted by the external forces placed upon them it is important to maintain proper alignment, especially during growth spurts. No matter if you are one or one hundred years old, proper communication between your brain, spinal cord and body are at the utmost importance. This proper communication can commonly help in children with problems such as behavioral, digestive, concentration and even bed wetting. Chiropractic can also support the child’s overall health and improve his/her immunity. It is never too early to bring your children into the clinic. Sometimes going to the pharmaceutical department of stores can be daunting as you’re not quite sure what to get. We believe that every patient should be assessed and treated as an individual when it comes to determining nutritional recommendations. Our nutritional patients receive a full consultation and assessment in order to determine their individual nutritional deficiencies and toxicities. Take a look at our Nutritional Common Conditions page to see exactly what and how we can best treat you. Acupuncture can have many phenomenal effects on digestive issues as well! Occasionally due to interruptions in communication, the neurological pathways are in need of opening up, this is where chiropractic and acupuncture come in to play! If it isn’t a nutritional deficiency that our Doctors find, they will find the problematic area leading to the digestive issue and utilize one of the tools in their toolbox to best serve you! See our Acupuncture Common Conditions page to see another way we can serve you. If you suffer from headaches or migraines, you’re not alone! The question is, how do you treat it when it begins to creep in on you. As popping pills and gritting through it may seem like a viable quick fix, there is a much better alternative for treatment and preventative care! Our Doctors routinely see patients for headache symptoms of which normally stem from the neck or jaw. Utilizing Manual or Activator techniques (or even both! ), our Doctors will find the probable cause of the headache and treat it accordingly. Need evidence? In 2001 there was research completed by Duke University in means of finding the efficacy of spinal manipulation on headaches. For those headaches originating in the neck, immediate improvement was found, accompanied with significantly fewer side effects and longer-lasting relief of tension headaches than the commonly prescribed medicinal pill. Our bodies are constantly working in means of attaining proper homeostasis or regulation of many bodily functions. This includes body temperature, weight and even hormones! Hormones are important as they affect everything. Carrying messages between cells and organs, they have a big part of childhood growth, sexual development, mood while we sleep, how we manage stress and even how thoroughly we break down food. This problem, like many others dealt with within Chiropractic, is a communication problem. As the spine becomes misaligned, nerves are pinched and pathways are compromised. Chiropractic can aid in opening up this pathway for increased communication between the brain, spinal cord and the body. There may also be a nutritional deficit that could lead to an even quicker benefit! Sometimes as our organs get worn and tired, it isn’t that they are simply getting too old and inefficient. Many times, it is that that organ simply needs stimulated by the right whole food supplement! Our Doctors specialize in this area as well and would love to speak with you about it. Acupuncture is an ancient Chinese medicine treatment that relies on strategic placement of tiny needles into a pattern that spans the body. These needles stimulate key areas of the body termed ‘The Points and Meridians of Acupuncture’ and aids the Chiropractor find the underlying problems. Infertility can be both emotionally and financially draining; acupuncture can however be an incredible alternative. Two of the Chiropractors at Ballenger specialize in this area and have had many success stories! Get to know Dr. Alex & Dr. Kim and their background if you’d like at the respective link. Sometimes going to the pharmaceutical department of stores can be daunting as you’re not quite sure what to get. We believe that every patient should be assessed and treated as an individual when it comes to determining nutritional recommendations. Our nutritional patients receive a full consultation and assessment in order to determine their individual nutritional deficiencies and toxicities. Take a look at our Most Common Conditions page to see exactly what and how we can best treat you. Communication is key for everything in life, and this extends even into the body’s regulation! The strength of the immune system depends on proper communication between the brain and spinal cord. When there is any interruption in this communication such as subluxations of the vertebrae, the needed white blood cell defense may not be met. Our Doctors can quickly identify the problematic area and track the root of the problem instead of covering up the symptoms with quick-relief products. Through various manipulation techniques such as Manual or Activator techniques, our Doctors can help restore alignment of the joints and soft tissue to restore proper communication. If you have dealt with intermittent pain or felt tingling or numbness in your arms and legs, you’re not alone. There is an estimated three to eight percent of the population that suffers from peripheral neuropathy alone. This is when there is a decrease in communication between the body and the central nervous system (AKA the brain and spine). Chiropractic care can open up the pathway for more communication to be had. This, in combination with nutrition can do wonders for many neurological issues. Getting oxygen and nutrition to damaged nerves is very important, which is why speaking with one our Doctors will aid you in focusing in on specific areas of nutrition. 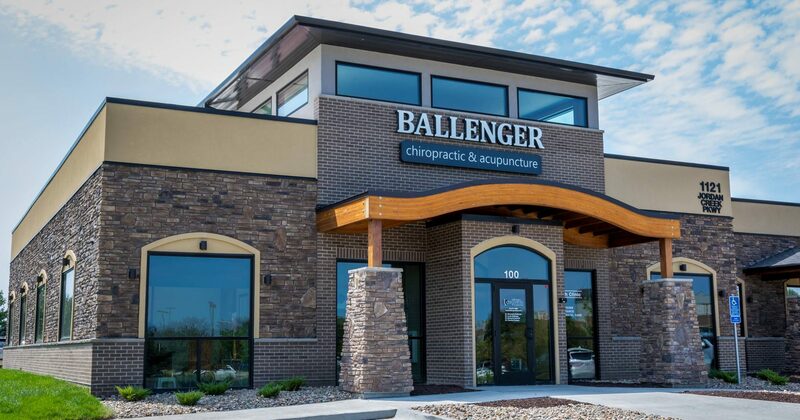 At Ballenger Chiropractic we use a holistic approach to every pathology and see every new patient, as a NEW PATIENT creating individualized plans for each.